Dustin Smith is a Creative Director, and has worked in the fields of design, and advertising for over 20 years. He was on the board of SF Urban Riders, and has led the McLaren Bike Park project since it’s inception. He’s ridden and raced bikes of every size. Dustin lives and bikes on Mount Sutro in San Francisco with his wife and 3 kids. Will Aldrich is Chief Product Officer of Smule and a Trustee of San Francisco Friends School. He’s lived in San Francisco since 1996 and rides bikes with his wife and kids around the Mission, Mt. Sutro, and in McLaren Park. Mateo Graziosi is co-founder of Gamut USA and Director of Business Development for Oanda. He’s an active member of the mountain bike community and supports various local trail initiatives and riding groups throughout the Bay Area. He lives with his wife and his baby daughter in the Inner Sunset. Tom is an engineer and small business owner in San Francisco. He lives his life like a 20 year old on Red Bull, always hitting up the latest riding spots with the bmx’ers, and taking on the establishment, fighting for bike access in San Francisco. Tom was a key contributor to MBP, sat on the board for 5 years, helped build trails, and was crucial to where the project stands today. Charlie Kocornik has lived in San Francisco for 20 years and been involved with bikes since first racing BMX in 1976. He and his mom got the first town Rec & Park BMX track built in the US in 1978 in Pequannock, NJ. Charlie is the co-owner of Elevation Bike Co. Charlie brought a wealth of industry knowledge to MBP and garnered impactful donations for the project. Joe is an independent project manager working in the city of San Francisco. He’s helped manage many of San Francisco’s parks and recreational projects, including the most recent construction of the Beach Chalet Soccer Fields. 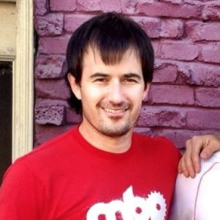 Joe helped manage the complex workings of San Francisco to help get the MBP design process of the ground. Dan co-founded SF Urban Riders, a group that works for off-road trails and bike access in San Francisco, and is a trail crew leader with Sutro Stewards, helping to build and maintain the trails on Mount Sutro in San Francisco. Dan and the SFUR team were responsible for showing the need for a bike park in San Francisco, and helping kick off what is now the McLaren Bike Park project. Jason is an avid blogger, writer, and photographer with BermStyle. He builds trails, rides all over the country, and documents his bike adventures. SF Urban Riders and MBP were fortunate to have Jason involved in helping to evolve the website, create beautiful imagery and help with the premiere SF Mountain Bike Festival in 2014. Inga worked with SF Urban Riders to help promote the group and MBP in social media and Email. Her outgoing personality and marketing skills helped keep attention on the needs of cyclists in San Francisco and promote events and fundraisers. Dayton is a landscape architect and Trails Planner. He was an original member of SF Urban Riders and helped establish McLaren Bike Park as legitimate project. Dayton helped create our first petition and co-authored the MBP website. Dayton is also an avid mountain biker and past CX race promoter. “Mo” works in City and Regional Planning. While in SF, she helped to connect SFUR and MBP with the folks at the SF Bicycle Coalition, and brought a wealth of city planning and strategic knowledge to the project. Mitch is a Geologist at Burns & McDonnell engineering. He was a co-founder of SF Urban Riders and helped lead the charge on creating a bike park in San Francisco. Mitch is an avid cyclist, and though he’s moved out of the city, he readily jumps in and helps with MBP fundraisers and affiliated projects. Phil was a big help at a key point in the MBP Project, helping to organize and drive attendance of our first annual DIG Fundraiser in April of 2015. Peter Durham was a crucial team member in the formative days of SFUR and MBP. Peter helped design the original SF Urban Riders logo, t-shirts, and website and helped advocate for trails and bike access in SF.